Please select options for Maximum Motorsports Caster Camber Plates (11-14 All, Excluding GT500) at the top of this page. Perfect Alignment. Whether you spend your time on the track or the street, you need a good alignment. The adjustability these Maximum Motorsports caster camber plates offer will make lining things up easy and worry-free. Double Adjustable. The Maximum Motorsports caster/camber plates let you adjust camber without changing caster. That means you (or your shop) can adjust the variables that control how fast your tires wear, and improve your stability while cornering. Ideal for Lowered 'Stangs. 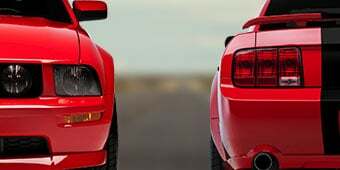 If you have lowered your Mustang, you may not be able to get your suspension back to normal, resulting in accelerated tire wear or less-than-ideal handling. Get the adjustability you need to fix it with a set of Maximum Motorsports Caster Camber Plates. Premium Quality. Featuring Teflon® lined spherical bearings, that are manufactured in the USA to Maximum Motorsports custom designed specifications, these Caster Camber Plates are plated and powder coated for both great looks and long life. Application. These Maximum Motorsports Caster Camber Plates are a direct bolt-on replacement with no drilling or cutting required for the 2011-2014 V6, GT and BOSS Mustangs. Technical Note. Not compatible with Eibach Multi-Pro R1 or R2 Coil Over Kits. Please Note. These Caster Camber Plates do not require the use of the included spacers when combined with the shorter thread length 2011+ GT, V6 stock or aftermarket struts. 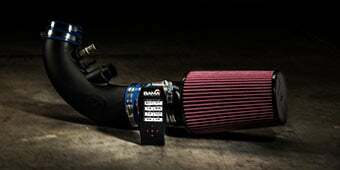 Please refer to Maximum Motorsports guide on our Installation Tab for further details. 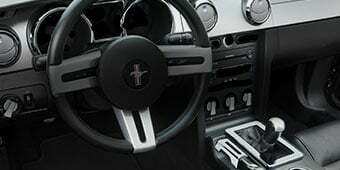 Would this work on a Mustang GT 2014 with the FORD RACING ASSEMBLED HANDLING PACK Item #MFR3AMGTA Since this kit comes with the GT500 mounts: "The included M-18183-C GT500 style Upper Strut Mounts are already installed on the struts with the springs to allow installation on all 2005-2014 Mustang GT Coupes"
The Maximum Motorsports Caster Camber Plates will not work with this handling kit. 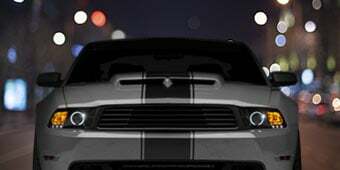 You will need caster cambers designed for the 2011-2014 GT500 because of the upgraded strut mounts included in this kit. I know you have to re use the bottom of the stock mount, but do you install the ball bearings of the old mount? The Maximum Motorsports Caster Camber Plates will reuse the OEM Spring perch and pivot bearings for a complete installation. Caster/Camber plates will not cause your vehicle to have an additional drop. They will realign your front struts. 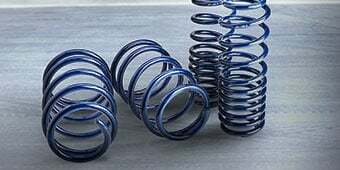 In this instance, you will not have any drop other than the drop of the springs that you choose to purchase and install. Strut Tower Brace? Will I be able to use my stock GT Premium strut tower brace with CC plates? The Maximum Motorsports Caster Camber Plates will work with any brace that utilizes (2) bolt holes on the inner front towers. The factory brace will fit without a doubt! Do these CC plates replace strut mounts completely? I know that J&M CC plates replace the upper strut mounts and I'm wondering if these are the same or if they're just the plate. They do not replace the spring perch, you will re-use the bottom of the stock mount. The Maximum Motorsports Caster Camber Plates will work with the RTR shocks and struts equipped with the RTR Lowering Springs. 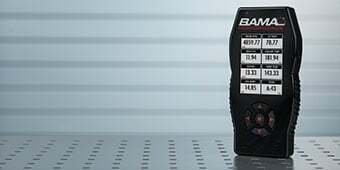 Depending on the features of your BC Coil-over it may already have caster/camber plates, in which that case these Maximum Motorsports Caster Camber Plates would not work. If they do not have caster/camber plates, then they may fit however since we have not tested these two products together we would not be able to confirm their fitment. 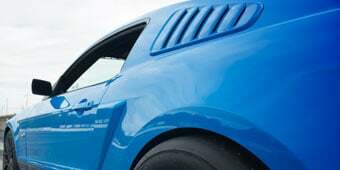 Yes, this will work with a 2014 mustang GT with the track pack addition on the vehicle. The Maximum Motorsports Caster Camber Plates fit most coil over kits, however, with the myriad of combinations, it would be difficult to confirm the exact fitment, we apologize. We do not offer the support bracket individually, please contact Maximum Motorsports to see if they can avail you with the support brackets. Yes, these caster camber plates will work with the Eibach R2 coilovers. The Maximum Motorsports Caster Camber Plates (11-14 GT, V6, BOSS) will be replacing your strut mounts. If you get struts that are specifically for your vehicle(11+), like these http://www.americanmuscle.com/koni-adj-strut-1114.html Then you will not need GT500 Strut mounts, and only the CC plates. You really only need the GT500 Strut mounts when you have an 11+ but are putting 05-10 front struts on your car. Install was a simple. Alignment shop said it easy a breeze to get everything in spec. Very pleased. It helps you improve handling so much!! also it helps you have a perfect alignment. I purchased these Max Motorsports caster camber adjustment plates to install with a set of front lowering springs on my 2014 Mustang GT. By following the included instructions, the installation was fairly straightforward and took about 4 hours. The quality and operation of the product is superior and makes adjustments a breeze. These are a must if you want to align your Mustang correctly. These caster/camber plates are as described and allow for independent adjustment of caster and camber. Haven't aligned yet but I'm sure it won't be an issue. Only problem is they shorted me 4 nuts for the strut mount. Real good quality and really simple to install, the instructions that come with the caster camber plates are very helpful and easy to understand. Installed this setup along with Koni Yellows and Eibach Pro springs. Attaching these plates to the struts was a bit of a pain due to factory mounts...had to separate factory mounts and then attach these to the remaining lower portion of factory mount...have to watch out for those ball bearings getting loose. Recommend buying two extra mounts to replace the old. My biggest issue is the alignment shop can’t meet the factory specs of approx -0.7. Shop could get anymore positive than -1.4...appears to be hitting something underneath. That may work better for me if I autocross, but may impact tire wear for normal day to day driving. Plates were installed per the instructions. In talking to MM, they mentioned that they have seen this with a few cars, but it is rare. Looking to see if I need to even worry about this or try a different vendor product like Vorshlag. Great product, two thumbs up...Fitment and function were spot on. Looks good also. I didn't do the install or align the front end but both the installer and the alignment guy commented on how nice the maximum Motorsports cast camber plates are. These camber plates are awesome! Definitely worth the buy for dialing in proper camber. A very solid product that was a great addition to adjustable shocks and struts. Great for camber and caster adjustment. The name says it all. 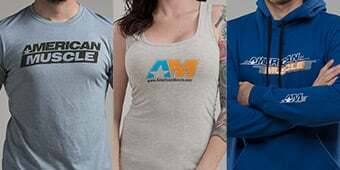 Maximum Motorsports. 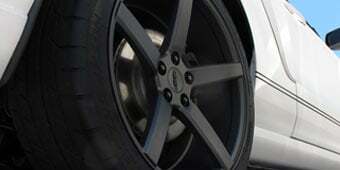 always great quality and it gave me the alignment that I was looking for to get that even tire wear. These were very easy to install. The only reason it's not 5 stars is because after getting the car aligned the alignment is still off a bit. I know it could be the shop's fault, but that's just the way it is. Nice product but a little pricey for what it is. 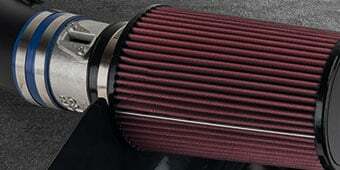 Purchased these with the Ford racing K-springs and the SR Performance chrome strut tower brace. Keep in mind that the brace will not work with these caster camber plates because it mounts on all four strut studs and the anjustment plate is on one of them, so you will have to use a 2 stud mounting strut tower brace with these plates! Bought it because American Muscle told me that I need it with the spring and pan hard bar for the alignment. At the shop they were able to align with out it. Maximum motorsport advised us that would not fit . Saved some money!